• Primary varicella-zoster virus infection (chickenpox) in immunocompromised children is frequently associated with visceral dissemination and attendant high mortality. 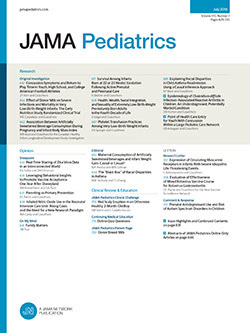 Eight children with malignant neoplasms and chickenpox with visceral involvement (seven with hepatitis, three with pneumonitis, two with encephalitis, and two with coagulopathy) were initially treated with intravenously (IV) administered vidarabine but demonstrated progressive visceral involvement. After three days of vidarabine treatment (two days for two patients), seven had rising serum SGPT levels, all eight had pneumonitis, seven had deteriorating mental status and/or seizure activity, and six had worsening coagulopathy. Vidarabine was replaced by IV administered acyclovir, with subsequent improvement in all but the most severely ill patient who died. Seven of eight patients recovered completely; no side effects of acyclovir were observed. This clinical experience suggests that acyclovir may be more effective than vidarabine in disseminated varicella infection; however, controlled clinical trials will be necessary to establish this.